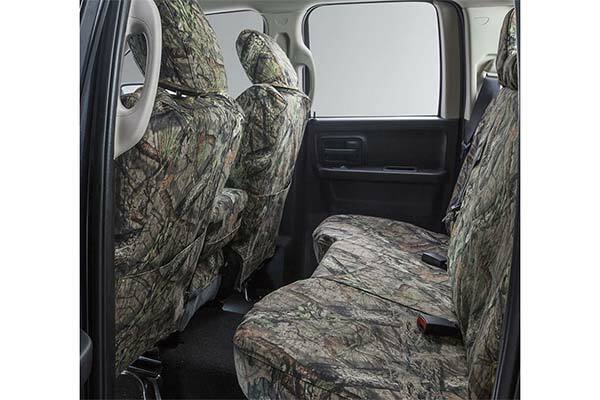 The Carhartt Duck Weave Seat Covers are Awesome! Definitely we'll constucted much like typical Carhartt products. Incredibly easy to install. Will buy additional for my other vehicles and definitely recommend to others. There was a waiting period for them but well worth it. Every new car I buy the first thing I do is install seat covers but the never last more than a couple of years. These will out last me. 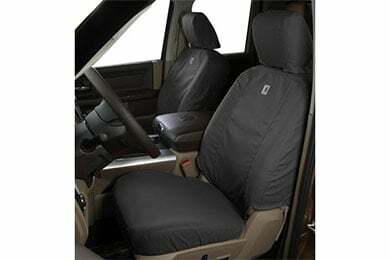 Purchased pair of Carhartt Duck Weave Seat covers for my `16 RAM. Found the instructions clear, installation straight forward, and time required minimal. 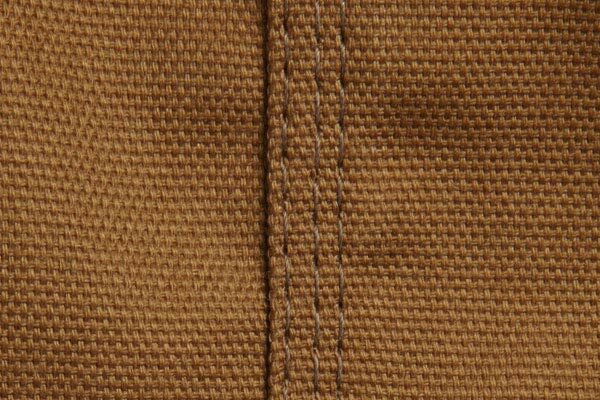 It is evident care was taken when these were cut and sewn together; they are snug (but not too tight) where they need to be and have the right level of give elsewhere. Very satisfied and feel that I have purchased a premium product. Absolutely love these! They fit and look great. I do wish they had come with more specific instructions for how to apply on a Jeep Wrangler, the instructions are very generic, but I figured it out. Fairy easy to put on and a very good protection. These covers are outstanding- material and construction and good looks! 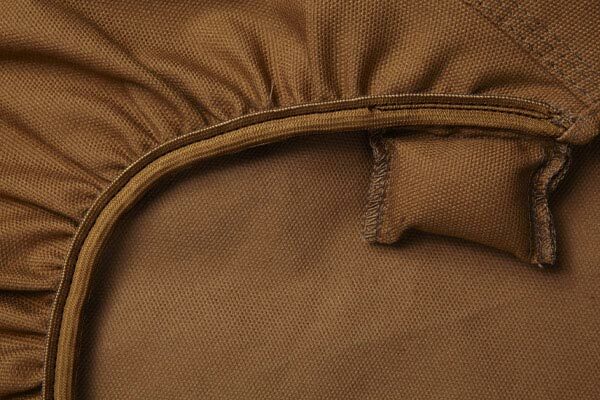 Great fit and super durable! 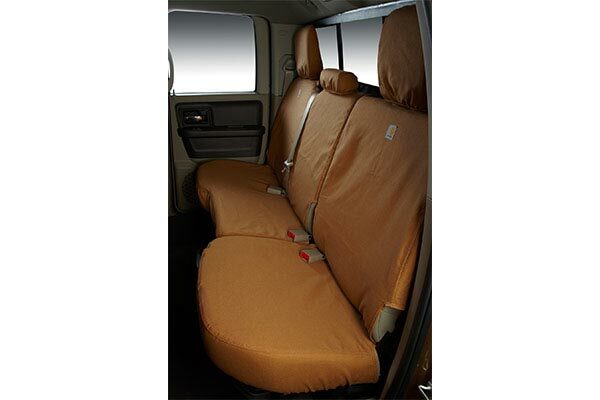 Durable seat covers that are super durable. They fit well even over leather seats. We have dogs and are in and out of our Honda CRV in all kinds of weather and temps. 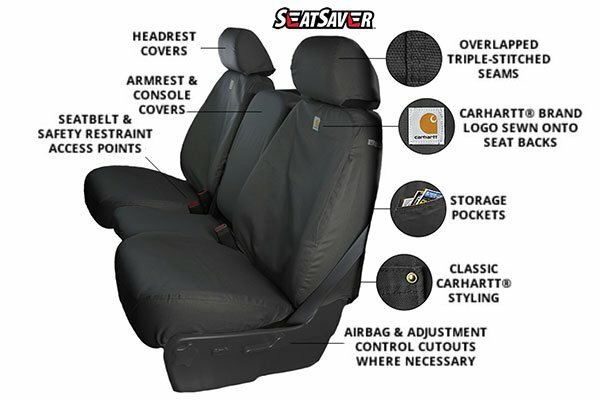 These covers along with all the great accessories on AutoAnything protect our car and our minds. Amazing stuff! Should wear well but fasteners could be better. The seat covers installed fairly easily although I had to use a pair of tongs to grab the velcro fasteners for the rear of the seats. 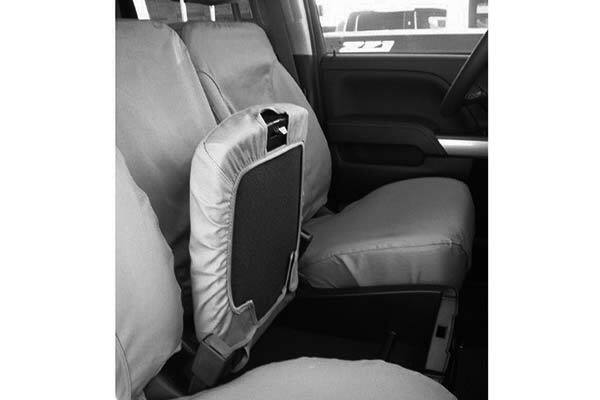 The seat covers look good but my concern is if I have any passengers in the rear seats that the cover velcro fastening tabs will be loosened because of feet-we shall see. Generally though, I am satisfied with the product. 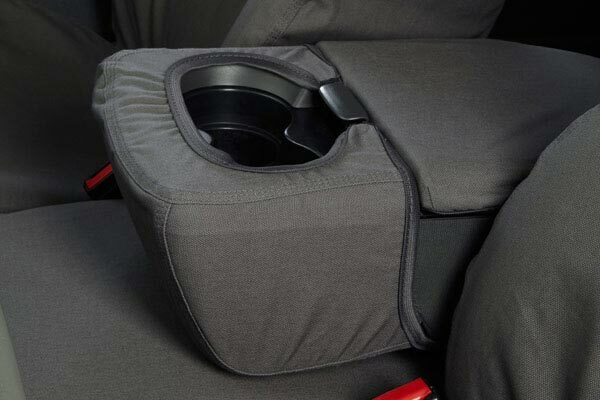 These seat covers, although expensive, are totally worth every dime. They fit great, they are tough and durable. Great product! I am impressed with the quality, fit and look of these. Couldn't be happier. Great product. Fits well. Easy to install. Color matches perfectly. Heavy duty. Exactly what I wanted, the seat covers fit well, are tough and look good. I also got them much quicker than expo. I wish these seat covers fit more snug. They seemed pretty wrinkly at first too. Installation was easy and I'm happy with the color. I got these as a gift and wasn't sure if I would like them. They turned out to be ease to install, well fitting for my truck and actually look really nice. 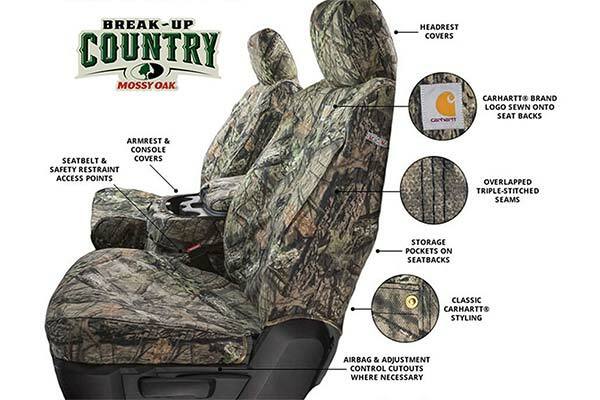 I would buy them again for my next truck before the seats got as trashed as they did on this one! These seat covers fit my Jeep great. This is my second set, first set is stil in my f250. I will continue to buy these carhartt seat covers for all my future vehicles. They were a little tricky to put on, so had to get some help, but I think they're great. 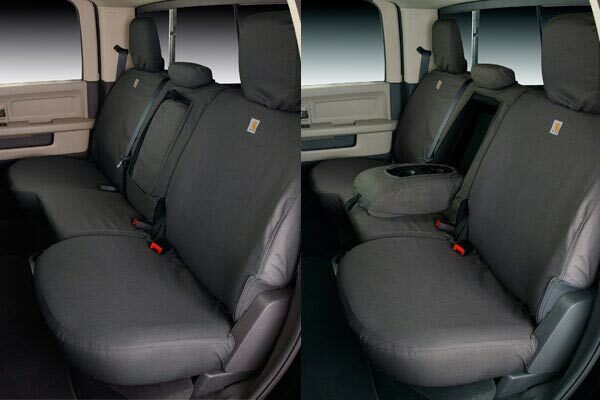 These seat covers are well worth the price.They fit good. The only problem ,it took over a month to get them. They're great fit is perfect and tuff. Look good this is my 2nd set 1st set is almost 2 years old and still look geat. 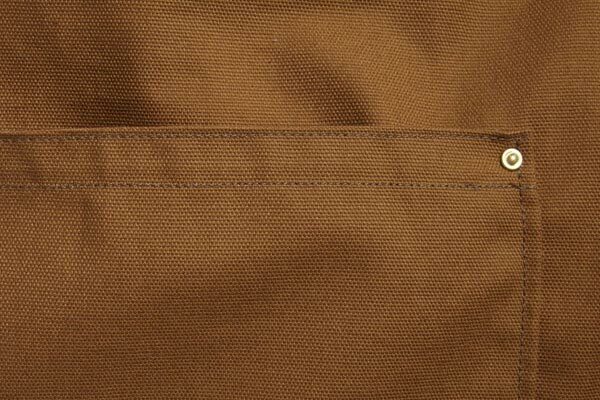 Happy with the fabric, very durable. Install was easy, cannot figure out how to buckle the strap. In time I WILL purchase them again, very satisfied. 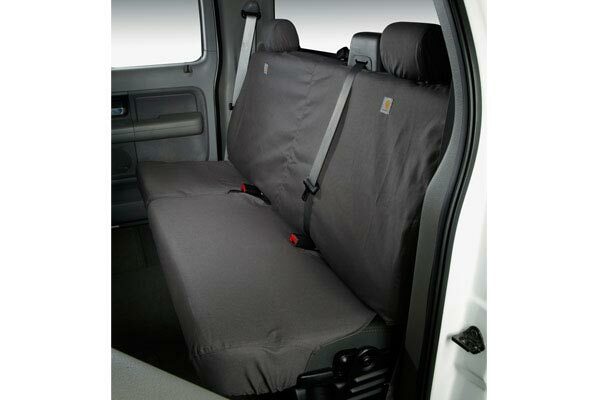 Well made seat covers , would purchase again ! Reference # 753-512-584 © 2000-2019 AutoAnything, Inc.